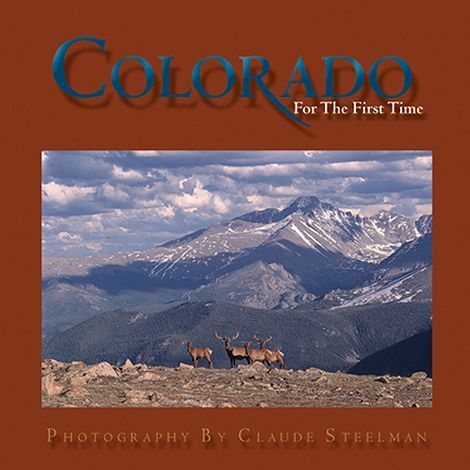 Seeing Colorado For the First Time through the unforgettable photographs of Claude Steelman will help us to learn what Colorado's awesome mountains have to teach us--a sense of peace, beauty, awe, wonder, or reverence. Whatever the sensation, Claude Steelman's photographs will bring to mind the first time you saw Colorado--either literally or figuratively. The true essence of what draws people to Colorado and always seems to bring them back, at least in their hearts, is difficult to grasp, but Clause Steelman has done just that by capturing the mysteries, the moments, and the magic of Colorado and its natural inhabitants in this stunning book of photographs. Through his images, Claude explains the magnetism of the state that is so hard to put into words, but which many, from the early pioneers to present-day travelers, have tried to do. We have included some of the quotes, past and present, of those experiencing Colorado for the first time. In addition to his incomparable photographs of familiar sights within Colorado, Steelman has captured many parts of the state that even longtime residents may be seeing for the first time, such as Rattlesnake Canyon, Picketwire Canyon, Irish Canyon, and Coffee Pot Spring. Colorado For the First Time clearly demonstrates his love for the state. Braving icy cliffs, lightning, and bear dens, Steelman is continually seeing the unforgettable shot that will remind visitors, as well as lifelong residents, why Colorado makes such an indelible impression on all who see it for the first time and continue to see it for years to come.